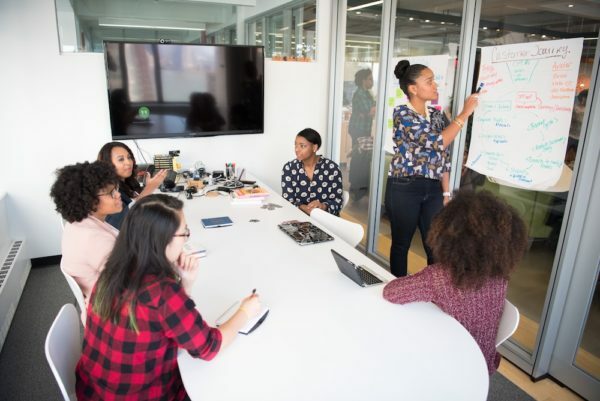 The goal of the program is to prepare woemn for leadership success in their respective careers while narrowing the gender gap in executive roles. (July 16, 2018) – The Kate Tiedemann College of Business at USF St. Petersburg is partnering with Accendo Leadership Advisory Group to offer executive-level training for women leaders in Tampa Bay. The goal of the program is to prepare participants for leadership success in their respective careers, equipping them for advancement while also narrowing the gender gap in executive roles. “This partnership is a natural extension in developing our initiative for women in leadership, which builds upon our legacy of women leaders,” said Dr. Sridhar Sundaram, Dean of the USFSP Kate Tiedemann College of Business. According to the big data software company PayScale, men are 70 percent more likely to be in executive roles than women by the middle of their career. Later in their careers, men are more than 140 percent more likely to be in VP or C-suite roles. The executive-level training seeks to address this disparity. Cohorts for the training will be composed of 10-15 women who typically have 15 or more years of professional experience, proven leadership ability and are seeking to advance their careers by 1-2 levels. Roundtable meetings will help participants define personal vision and build emotional intelligence and executive presence. In addition, program participants receive free individual coaching from Accendo co-founders Cari Coats and Karen Dee. The managing partners are accomplished, former C-suite executives with more than 30-years of experience. The Kate Tiedemann College of Business is one of the few business colleges in the country named after a woman. The building that houses the college is also named after a female executive leader, Lynn Pippenger of Raymond James Financial. While student engagement programming within the College has been supported by key female donor Ellen Cotton. “USF St. Petersburg, a respected institution of higher learning, shares our dedication to helping women leaders succeed and organizations narrow the executive leadership gender gap,” said Dee.